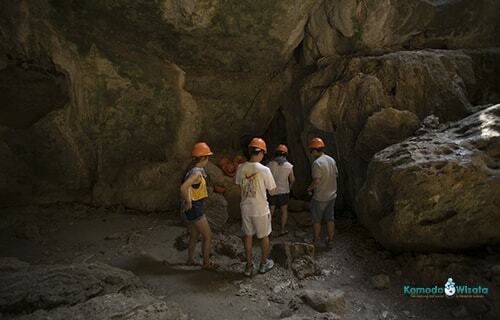 Batu Cermin Cave is one of the beautiful destinations when you visit Labuan Bajo on Flores Island. The place is surrounding with small forest located on the North side of Labuan Bajo. It is about 15 minutes from Labuan Bajo. Drive through the small city with the interesting savannah around will be the best thing on your holiday in Labuan Bajo. There are also some beautiful places to visit beside the cave. There is Bukit Silvia or Silvia hill, Wae Cicu hill and many more. Book your Flores tour packages online with a reputable travel agency. If you stay on Labuan Bajo, what you can do to get there is you can rent Motorbike. The motorbike costs IDR 75.000 per day, you can find them along the street. Take a Bemo. Bemo or public transport is cost about IDR 10.000 per person. What can you expect to see in Batu Cermin Cave? The interesting things to see are the rock formation, light reflection, and tunnel. The Light comes into the cave through the walls of the cave. And it makes a reflection, then it looks like a mirror. So then locals call it mirror cave. Another thing that drives your adrenaline is walking through the dark tunnel. This walking it about 300m. About 10m you will be walking squat in the small tunnel, then you will find the big tunnel. There you can see a beautiful rock formation. Our on the entrance gate you will see the standing rock about 100m with the sharp look likes mushrooms. Here you can take pictures.